Was Dubinina’s tongue ripped out before or after she died? Forensic science was still quite primitive in 1959 but the amount of bleeding she experienced can easily answer this question. This is a truly important. If it was ripped out before she died then she was likely the conscious victim of a vicious attack by a person or persons unknown. If it was after she died then scavenger predation is more likely. How deep was the ravine in which the final four victims were found? Could a natural fall account for their injuries? Did aircraft (secret or otherwise) with jet engines undertake flights in this region on the date that the “Dyatlov Pass Accident” occurred? Why did the Soviet Authorities deem this event important enough to classify this subject for 30 years? Have they fully released the file? Where can it be found? Where is the missing envelope that is supposedly identified in the declassified papers? What is in it? In the 50’s people were far more obsessed with accurate paperwork than they are today. To seal off a region would have required many and various authorisations and permit ions. Where are these records? What reasons do they give for the requested actions that were apparently approved? Internet and written reports identify the victims but do not state what they were studying at the University. 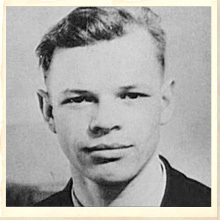 One member of the team – Alexander Zolotarev – was significantly older than the others and at 37 almost twice the age of the youngest. What was his profession and what was his connection to the team? What are the details of the skull injury experienced by Nicolas Thibeaux-Brignollel? This information alone could go a very long way to solving the mystery. For example, is it an impact injury or a comprehensive pressure injury? Was there retinal detachment? Was he alive or dead when it happened? The “snowfall anomaly” refers to the fact that some of the bodies found – those returning to the camp – were buried under snow. How is it that enough snow fell to burry these bodies but tracks that were found higher up the hill were preserved in such a good condition that investigators could (allegedly) tell that at least one person had been barefoot? 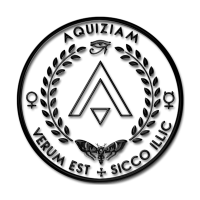 Please note that many of these questions have now been answered and further information can be found in further sections of this website. 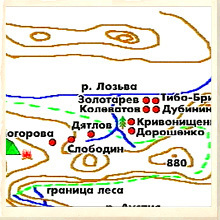 The locations where the deceased were found – in Russian. 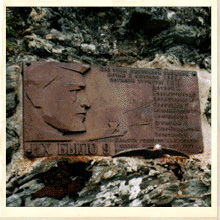 Memorial plaque fixed to the rocks at pass 1079 – now renamed Dyatlov Pass. Igor Dyatlov – His name, and the memory of those who were with him, will be remembered. They are forever linked to the mountain. This is a mystery that is far from solved. It is highly likely that at least some of the information presented as fact is either exaggerated or wholly inaccurate. Something disastrous clearly happened on 2 February 1959 but hard facts are scarce and the real sources of this mystery are very few when traced back to their actual origin. Whatever happened that night it genuinely worried the Russian authorities. Please understand that Russia at this time was not an easily “scared” country. Castro was weeks away from taking over Cuba, Russian expansionism was at its peak and the Russian military had the rest of the world in a state-of-fear. For many countries of Africa the Kalashnikov AK (AKM) 47 assault rifle was fueling revolutions against established western democracies. Khrushchev was at the peak of his power. Alien UFO intervention is highly unlikely. It is almost certain that the area had been used to test experimental military equipment in the past. It is very possible that it was still in use. The nine (possibly 11) victims of the event died miserable, scared and desperate. Regardless of our interest in this mystery – spare a thought for their suffering. The memorial and graves of the Dyatlov pass victims.